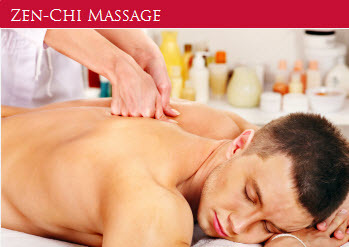 Professional and tranquil massage rooms in North Lakes. 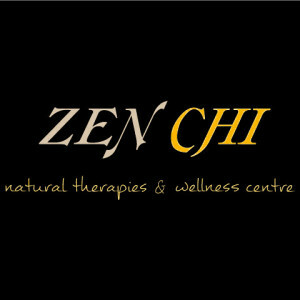 Zen-Chi Natural Therapies at North Lakes in the Evergreen Centre provides massage for pain relief and to unwind and reduce daily stresses and muscle tension. Multiple styles of massage are offered at Zen-Chi and here we touch on each of them briefly. “Swedish Massage” is a technique designed to relax muscles by applying pressure to them against deeper muscles and bones, and rubbing in the blood flow direction to the heart. Specialised massage technique to mobilise ailing muscles, tendons and joints. This style of massage encourages the muscle repair process of the body. Pressure is applied to acupressure points as used in acupuncture to free up meridians and restore harmonious energy flow. Acupressure is an energy balancing massage. Light finger pressure is applied to specific points along energy channels. Energy flowing in the channel is attracted to the surface, producing a deep level of relaxation. Acupressure Massage is stress relieving and enhances the body’s natural healing process. Pregnancy or pre-natal massage accommodates all those sore spots associated when carrying a baby when choices for pain relief are limited. This comforting massage also helps to provide emotional support during pregnancy. Employing deep muscle compression and friction along the grain of the muscle, the purpose of Deep Tissue Massage is to un-stick the fibres of the muscles and release both toxins and deeply held tension points. It helps to loosen muscle tissues, and gets blood and oxygen circulating properly. The Lymphatic system is our front line of defence in fighting bodily infections, detoxifying the body and transporting metabolic wastes, excess water, bacteria and toxins out of the body. Lymphatic drainage massage therapy combines gentle pressure with soft pumping movements in the direction of the lymph nodes to help eliminate these toxins out of the body. Heated volcanic stones are used on key acupressure sites and chakras. The heat relaxes the muscles aiding physical and mental balance and allowing for a deeper, more effective massage. AromaTouch is an Aromatherapy massage with natural essential oils and incorporating simple hand techniques to create a powerful body experience. This technique has been utilised throughout most of the history of Traditional Chinese Medicine. Small glass cups or bamboo jars are used as suction devices placed on the skin. Cupping is much like the inverse of massage using gentle pressure to pull muscles upward. To book your massage call Zen-Chi Natural Therapies on (07) 3482 2549. They are located in the Evergreen Lifestyle Centre, North Lakes, Qld. Back to North Lakes Qld Home-Page. Great massages that relieve the day to day stresses of business, very friendly atmosphere and great staff. Highly recommend!